At a moment of existential crisis for the European project, of breakdown of solidarity between countries throughout the continent and of undermining of fundamental rights and democracy in many countries, it is vital to change the narrative, to put relations between citizens and civil society throughout Europe at the core of a renewed vision for the future of the continent. On the 3rd and 4th of July 2016, the Civil Society Forum Paris brings together activists from the European Union and the Western Balkans Civil Society organisations in order to elaborate policy proposals and to push forward actions that answer the main challenges facing the continent today. 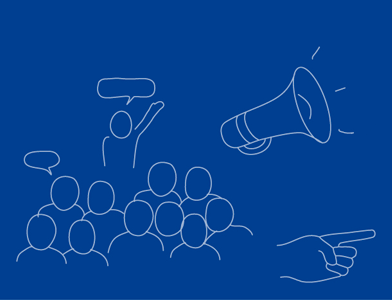 We want to make the voice of civil society actors heard, at the core of the European project. It is a space for exchange and aims at building a long-term collaborations across the Western Balkans and the EU as a permanent platform. This forum is organised on the occasion of the 3rd intergovernmental summit of Western Balkans and EU countries to be held in Paris on the 4th July 2016 (links). It follows the Civil Society Forum held in Vienna in August 2015, and in Novi Sad and Belgrade in May 2016, where four main policy areas have been identified as priorities for the Western Balkans region. Migration, climate change and green growth, bilateral disputes and youth cooperation will be part of the Paris Forum Programme and are likely to be discussed by the political leaders. We also want to address transversal issues of democratic governance, the role of civil society and respect of fundamental rights. The forum is open to other topics, developed on the suggestion of the participants. If you are interested in taking part, the forum is open to all, upon registration. There is a limited number of travel grants for Western Balkan participants, available through an open call (application deadline 3rd June 2016). The two days of activities will be structured around workshops, dialogue with European and national parliamentarians, cultural activities and an open public citizen’s summit on European solidarity. It will start on the afternoon of Sunday, 3rd July 3rd, and continues until the evening of the 4th of July. The Forum is coordinated by European Alternatives, ERSTE Foundation, the European Fund for the Balkans, the Friedrich Ebert Stiftung, the Charles Leopold Mayer Foundation and Citizens for Europe.